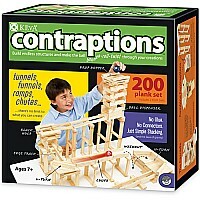 Construct tracks of tunnels, funnels, ramps, and chutes, then set the ball rolling and watch your creation come to life. The open-ended, no rules play promotes experimentation, creativity, and problem solving, which are key mental skills for aspiring young engineers and architects. And as kids build through trial and error, they gain an early understanding of physics and engineering concepts like balance and structural stability. 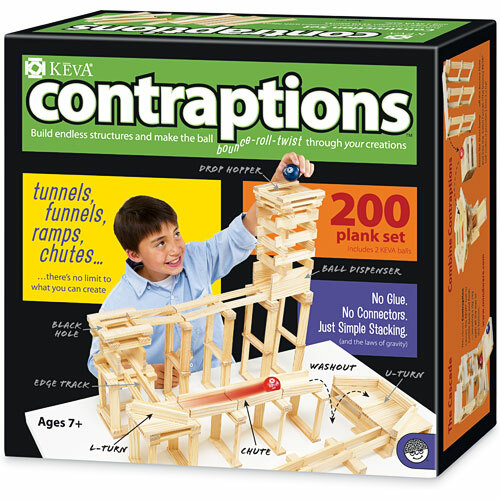 No glue and no connectors means structures are vulnerable to collapse, but this teaches kids to build with care, honing fine motor skills and dexterity in the process. Measures approximately: 13.00 x 5.50 x 13.00 inches..